This mod adds eight unique grimoires, one for each school of magic: alteration, conjuration, destruction, illusion, mysticism, and restoration, as well as two special ones. The Dwemer grimoire is related to enchanting, and the necromancer’s grimoire has a special effect. Each one has a scripted enhancement that lasts one hour. The six grimoires related to the different spell schools, and the enchanting grimoire, add five points in their related skill. Grimoire effects can’t be stacked. You’ll have to wait for the last effect to wear off. The Necromancer’s grimoire comes with a benefit and a curse. It will summon a powerful skeleton companion with proper follow scripting. However, disappears on death just like a summon. While under the influence of the Necromancer’s grimoire, your personality will drop because you’re scaring the locals with your skeleton pal. 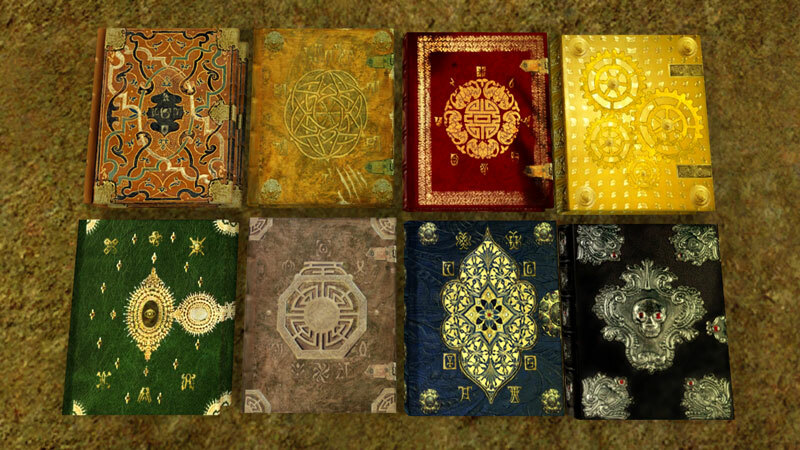 The six spell-school grimoires can be purchased from the bookseller in Balmora. The other two must be found.